“Oops! I didn’t mean to haul so many books again,” is officially the story of my life. It’s becoming a problem but it’s a problem I quite love having. I’ve got almost twenty books on this haul- books I forgot to include in my last haul, books received from friends, books won, books for review and only one book bought this month. 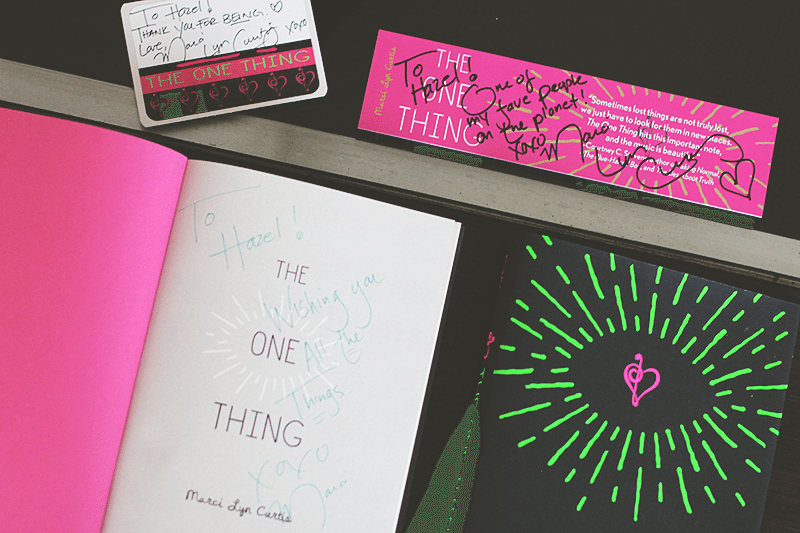 Last September, Powerbooks had their Power Sale and I bought three awesome books. Heartbeat by Elizabeth Scott was a book that made me super emotional a few years back while The Secret Ingredient by Stewart Lewis was something that interested me after reading a fellow blogger’s review. 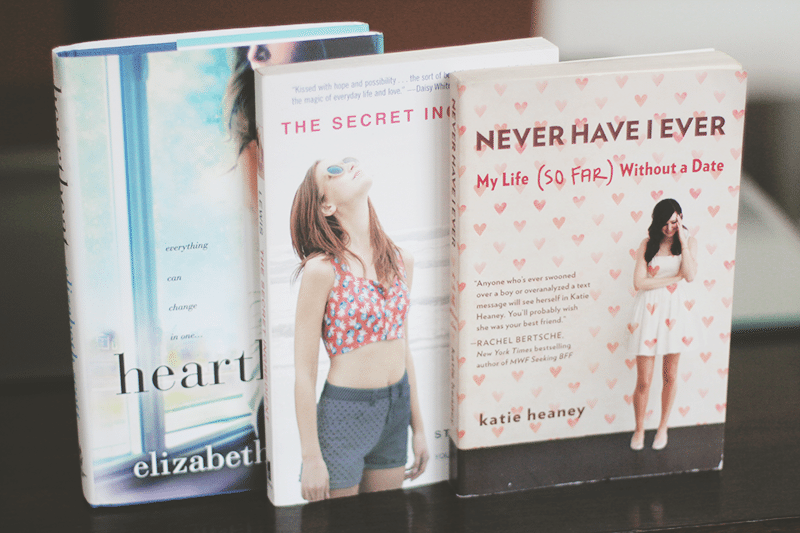 I’ve also been wanting to acquire Never Have I Ever by Katie Heaney because I can totally relate with that title. I still have to recap the launch we organized for the release of Carry On by Rainbow Rowell but it was a hugely delightful event with fun games and raffles where I won some awesome titles like The Harder We Fall by Mina Esguerra, The Last Best Kiss by Claire LaZebnik, Blackbird Fly by Erin Entrada Kelly. Since I hung out with some fellow bloggers then, Louisse kindly gave her copy of What We Saw by Aaron Hartzler to me and I also got King Dork Approximately by Frank Portman from Kai, who was clearing out her shelves. I also borrowed Damage Done by Amanda Panitch (not pictured above but pictured in the first photo) from Dianne. Usborne sent me one of the exclusive, first-look proof copy of How Hard Can Love Be? by Holly Bourne and it came in this awesome package that I posted about on Instagram. I also won an ARC of Bounce by Noelle August from Fay of The Bibliophile Soprano‘s Twitter giveaway while Merit Press sent me Randy Ribay’s An Infinite Number of Parallel Universes for review. In conclusion, October was a good book month. I officially doubt November can live up to it. 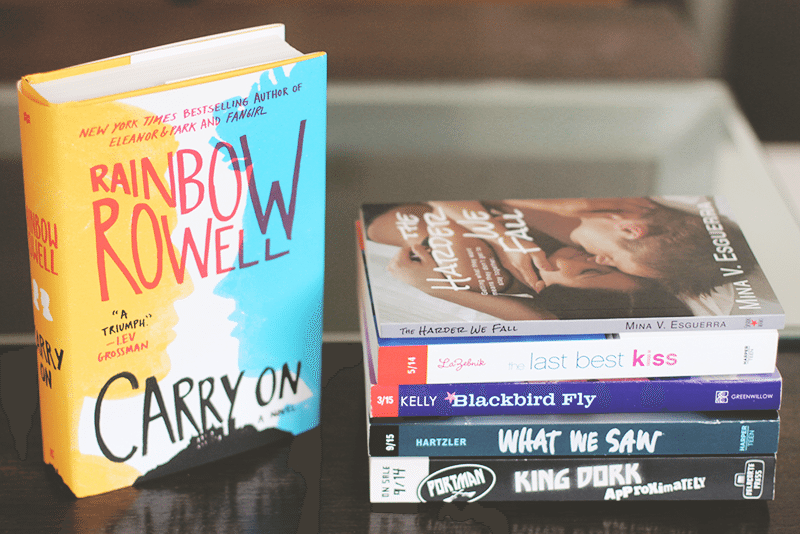 Which reminds me- one week left to vote for Stay Bookish for the Bloggys 2015 Philippine Blogging Awards! If you haven’t voted yet, please please do! Your support is greatly appreciated! 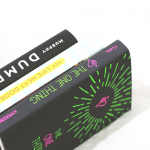 What awesome books did you acquire this month? 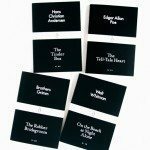 Have you read any of the books I mentioned? How is your weekend so far? 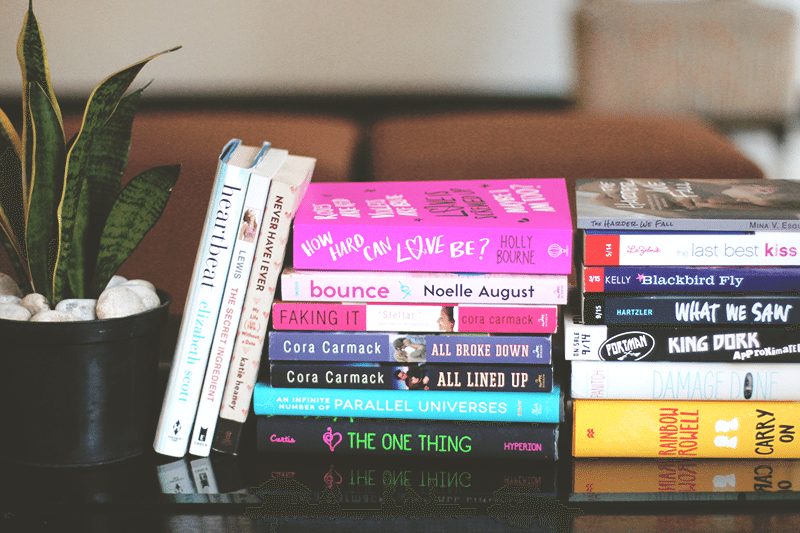 So many great books here, november will definitely be a happy reading month for you. Can’t wait for my copy of Carry On to arrive. Right? I really hope I’ll get to read a lot this coming November still, since the new semester will be beginning then. Hope your copy of Carry On arrives soon, Jen! Squee! SO MANY PRETTIES! 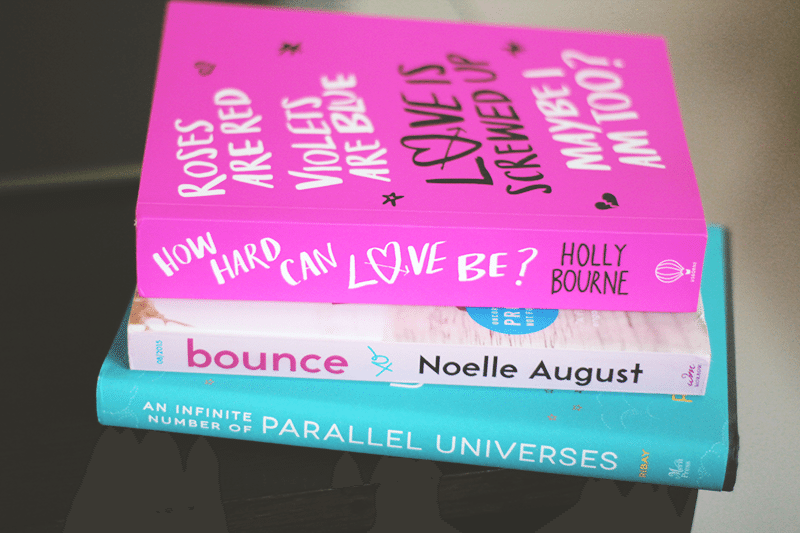 Usborne contacted me to review How Hard Can Love Be? as well – I can’t wait for my copy to arrive. These all look amazing! Enjoy your new books! I know! Yay for reviewing How Hard Can Love Be! I’m SO excited for Amber’s story. Look forward to hearing your thoughts, Kyra! Rowena, you are too sweet! Thank you SO much for your kind words! I have What We Saw out from the library right now. I’m looking forward to that one. 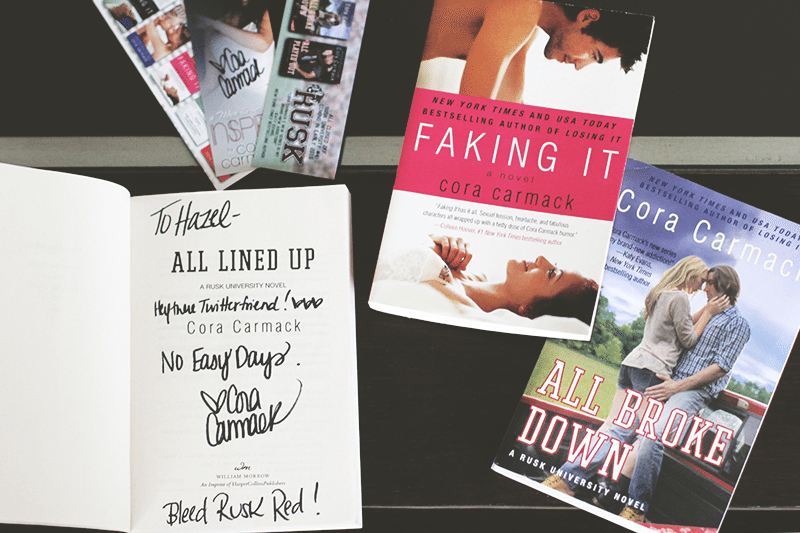 And I just love Cora Carmack. 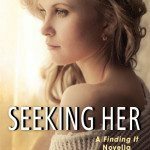 :) I enjoyed her Losing It series but I love the Rusk University series even more.